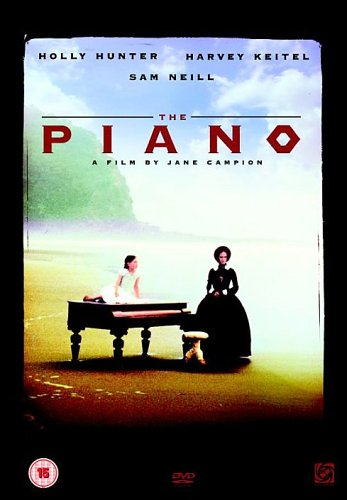 Winner of the 1993 Cannes Palme d'Or for Best Film and Best Actress for Holly Hunter, Jane Campion's third feature was widely hailed as a cinematic masterpiece. With Michael Nyman providing the music, the story centres around Ada (Hunter), a mute Scottish woman sent to New Zealand with her daughter (Anna Paquin) for an arranged marriage to lonely landowner Stewart (Sam Neill). When she arrives with her beloved piano in tow, Stewart forces her to leave it on the beach rather than lug it through the jungle. The estate manager, Baines (Harvey Keitel), watches and listens in amazement when Ada visits the beach to play and subsequently he makes a deal with Stewart to keep it at his own house. Baines is enchanted by both the piano and Ada and eventually makes a bargain of sexual favours whereby Ada can win back the instrument.